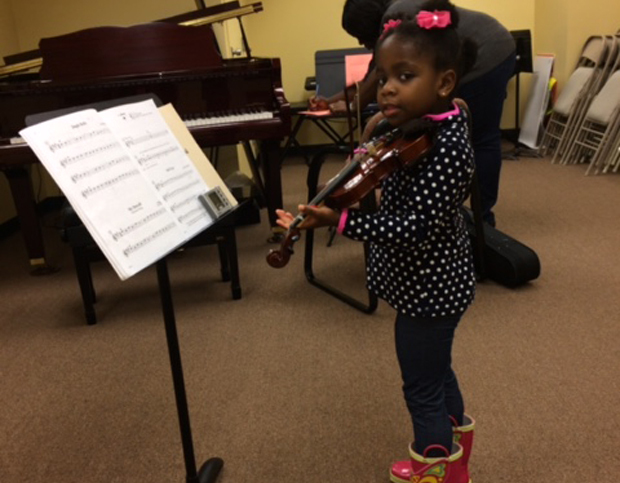 Five-year-old Giavrielle Lightfoot is an accelerated learner. But when her mother read a book to her that she hadn’t read before, the not-yet-3-year-old read it. Walker-Lightfoot was reluctant because she, her husband, Johnathan, and their only child live in Howard County, Maryland, where children must be 5 by Sept. 1 in order to start school. The Lightfoots found an academic-focused Montessori school where youngsters can be taught the kindergarten curriculum if they’re 5 by Dec. 31, as long as they pass their work. Gia is now thriving in an environment of diverse learners. In a class of 11, five students are East Indian, three are African American, one is biracial, one has a Spanish surname, and one is white. The Lightfoots intend to keep Gia in Montessori. They plan to transfer her to another school in the network that goes up to grade 5. Based on the Lightfoots’ actions, several key steps may have helped to bring about their daughter’s positive experience. She follows the “squeaky wheel” philosophy. Although the Lightfoots live in one of the best school districts in the state, Walker-Lightfoot knows that low assumptions are made about minority children. “The thinking is you’re doing great if you’re just on grade level.” She has made up her mind to be what she calls a “pesky parent”—her child’s advocate. The Lightfoots do their own research. When the Montessori school told them that children leave their school ready for second grade, she thought that was a nice marketing line—and then called the board of ed. It verified the school’s claims. Explore the BE Smart site for more about this month’s Young, Gifted and Black series. This gives me great advice on where to start with my almost 3 year old.